Sometimes food from the past seems very modern, such as this elegant and simple fish dish from the seventeenth century. The source of the recipe is Le cuisinier royal et bourgeois by François Massialot. 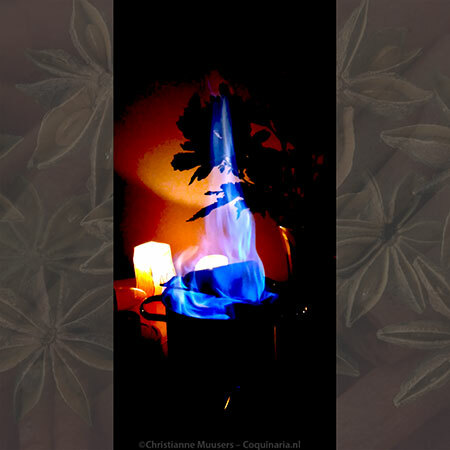 More on the author and his book can be read on the page for crème brûlée. Massialot begins his cookery book with a list of meals according to season and an overview of the dishes that can be served. It appears that meat and fish are not served during the same meal; it is either all meat, or all fish. The recipe for ‘fish salad with sauce ramolade’ is listed separately after the ‘Liste de salades de poissons’. These were salads that were served during the second (main) course on fish days. The fish salads could be prepared with sole, turbot, brill, oysters, smelt, trout, salmon, ray, whiting, weeverfish, tuna, anchovy, lobster, crayfish ‘& autres’. The ramolade sauce seems to nave been served with all these fish and shellfish. The sauce is called ‘ramolade’. But it is not the same as the remoulade that is served with fried fish and other dishes nowadays. There is some similarity however: replace the oil and vinegar from the seventeenth-century recipe with mayonnaise with a dash of mustard and the result looks like modern remoulade. The seventeenth-century ‘ramolade’ however has more in common with what we now call sauce ravigote. Mayonnaise is a modern sauce as the first recipes date from the nineteenth century. Because of the mayonnaise, modern remoulade tastes milder than ravigote. The word ‘ravigote’ was derived from ‘ravigoter’ which is a variation of revigorer, ‘to strengthen’. The sauce could be called a ‘pick me up’. However, the origin of the word rémoulade is harder to determine. According to TLFi it could have travelled from the Spanish Netherlands to France: ‘remola’ or ‘ramolos’ (horseradish) plus the suffix ‘-ade’ (like sal-ade and orange-ade). This explanation is not without its contradictions. There is no horseradish in Massialot’s ramolade, nor in the ‘sausse à la remoulade’ in the Cuisinière Bourgeoise from Menon (1746), although that sauce does contain mustard. The Swiss chef Joseph Favre (Dictionnaire universel de cuisine pratique, 1895) makes a connection with remoudre/remoulu, ‘pound again’. But in the recipe of Massialot the ingredients are not pounded but chopped, which is definitely not the same thing. 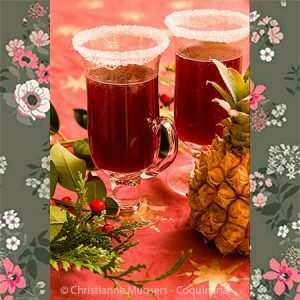 This recipe is from Le cuisinier royal et bourgeois (Massialot, 1691, pp.70/71, see bibliography). The same recipe has been published in La Gastronomie au Grand Siècle by Françoise Sabban and Silvano Serventi from 1998 (see bibliography). 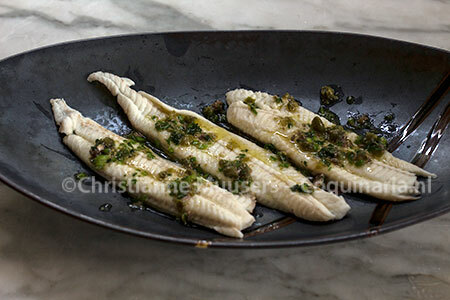 For all kinds of fish fillets one prepares a sauce that is called ‘ramolade’, consisting of chopped parsley, chopped chives, chopped anchovy, chopped capers. Put all this on a plate with a little salt, pepper, nutmeg, oil and vinegar, well mixed together. And after having arranged the fillets on their plates, one sprinkles this ramolade over them. And to some plates one adds lemon juice, to serve them cold. The original recipe gives the cook an option to serve this dish cold. That would imply that this salad can also be served warm. First course or light lunch for 2 to 4 persons; preparation in advance 5 minutes + 15 minutes resting with salt; preparation 10 minutes. 3 Tbsp olive oil e.v. Temper oil and vinegar by beating it or shaking it. Add the other ingredients for the sauce. Sprinkle the fish fillets with salt. Rinse them after fifteen minutes and pat them dry. Poach the fish fillets in vinegar and half as much water (vinegar:water=2:1); use as much liquid as needed to just submerge the fillets. Make sure the liquid does not boil, and take the fillets out as soon as they are done. Let the fish fillets drain on kitchen paper. You can also poach an entire fish and fillet it afterwards. Shake or beat the sauce once more just before serving. Arrange the cold or still warm fish fillets on a dish and scoop some of the sauce over them. Serve with bread. 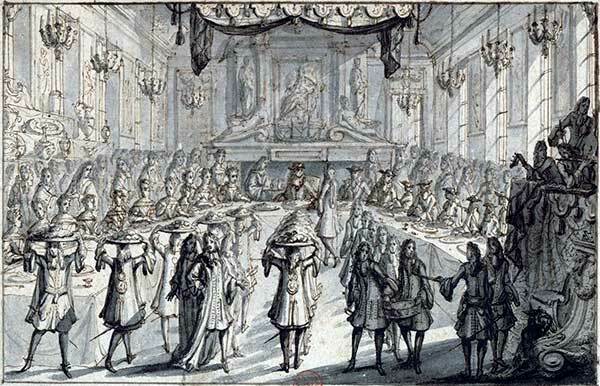 François Massialot, Le cuisinier royal et bourgeois, Paris, 1691. (online and downloadable on Google books). Françoise Sabban and Silvano Serventi, La gastronomie au Grand Siècle. Paris, 1998. A light and healthy first course or lunch dish.